A proven, easy to install product with extensive function, keying, trim and finish capabilities that work in nearly any application. The Schlage® ND family significantly exceeds BHMA Grade 1 requirements for cycle, hammer blow, lever torque, lever pull and other tests. 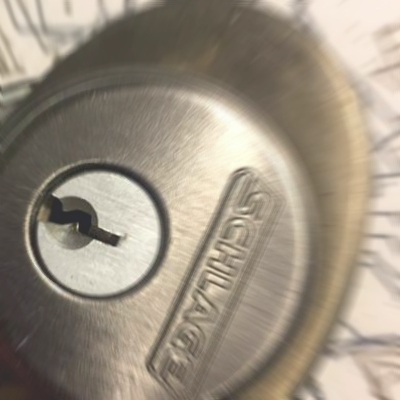 This means confidence that the lock will last, whether the application calls for high abuse resistance or just operation over millions of cycles—without any degradation in performance. Handing: All ND-Series lever locksets are non-handed. Door Thickness: 1 5/8” to 2 1/8” (41mm–54mm) standard including Vandlgard® functions. 1 3/4” - 2” for function ND85. See accessories for spacers required for 1 3/8” doors. Backset: 2 3/4” (70 mm) standard. 2 3/8”, 3 3/4” and 5” (60 mm, 95 mm, 127 mm) optional. Faceplate: Brass, bronze or stainless steel. 1 1/8” x 2 1/4” (29 mm x 57mm) square corner, beveled. Lock Chassis: Zinc plated for corrosion resistance. Latch Bolt: Steel, 1/2” (12mm) throw, deadlocking on keyed and exterior functions. 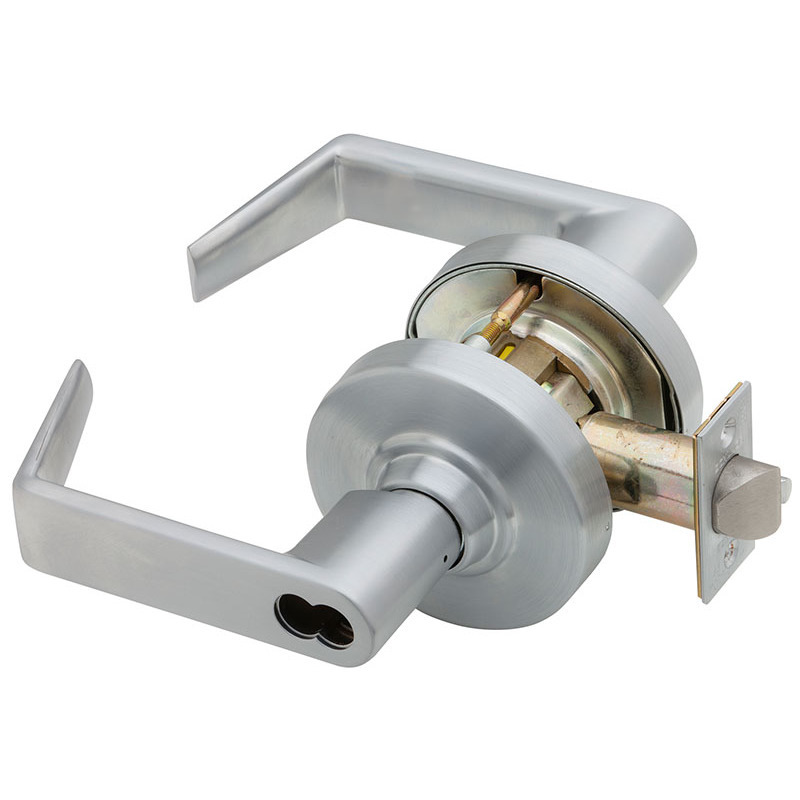 3/4” (19 mm) throw anti-friction latch available for pairs of fire doors. Exposed Trim: Levers: Pressure cast zinc, plated to match finish symbols. Strike: ANSI curved lip strike 1 1/4” x 4 7/8” x 1 3/16” lip to center standard. Optional strikes, lip lengths and ANSI strike box available. See page 21. Cylinder & Keys: 6-pin Everest 29 S123 keyway standard with two patented nickel silver keys per lock. Keying Options: Interchangeable core and Primus high security cylinders. Master keying, grand master keying and construction keying. Warranty: Ten-year limited for all functions including Vandlgard.